This has been a dilemma for me since I started in internet marketing, key-words, long-tail keywords, low-hanging fruit keywords. What does it all mean? What are keywords? I will try to help you understand keywords better. Once you understand them, you will say that was so easy! First you must start with a tool to help you search for your keywords. There are many key word tools out there, some you pay for and some are free. Here is my favorite keyword tool. Try it here. There are many keyword tool available on line. But which ones are worth looking into? Have you ever tried to figure out a keyword tool? So many of them offer so much useless information or you have to add this and combine this to get what you are looking for. Not for me, I want something that is straight forward and easy to read and understand. Google key-word planner is free but they change the format so often, you have to learn it over again every time you use it. Traffic Travis by Mark Ling is also free for the intro plan, but try to get into it. It’s very difficult to navigate once you get in and they always want you to upgrade. Market Samurai also has a free starter plan, but very expense to upgrade. The last I knew it was $149.00 for life. I have tried them all, plus many more free ones and one of the easiest to use was Keyword tool in Wealthy Affiliate. That has since been eliminated by Wealthy Affiliate. In it’s place is Jaaxy Lite for premium. It is completely free for premium members, a great tool. Wealthy Affiliate also has another keyword tool called Jaxxy. I’ll explain that in another article. Monthly searches: which is how many people have searched for this word in a month. KQI: is keyword quality index, an easy way to gauge keyword quality. QSR: Quoted Search Results. This feature will grab information from the search engines and give you an exact number of competing pages with the exact search term. Try for under 400, but 300 is better. Traffic that the keyword gets. Does the keyword make good grammatical sense. Take a look at this so you can see how Keyword tool works. It ‘s important to understand what a keyword is and why it’s important for you to understand it and how to use it. There are some videos by Jay in Wealthy Affiliate helping to explain how the whole keyword thing works. This is a completely free tool offered within the Wealthy Affiliate. 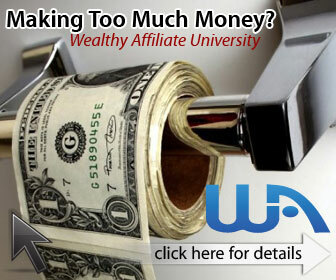 If you are looking to start an online business than you need to check out Wealthy Affiliate. It is completely free to join and has many free services. I have found it to be the most comprehensive training available. But check it out and judge for yourself. I’m sure you will be impressed by the sheer volume of their membership and dedicated members in the community. Please read my review of Wealthy Affiliate and see for yourself. Their training is beyond anything I have come across on the internet. The boot camp, the classrooms, the community is so helpful, I could go on and on. There is no charge to join and you don’t have to show your credit card. See my review here. Also if you liked this article, please comment or leave a question below.